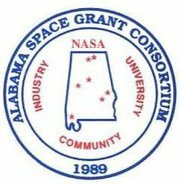 Charger Rocker Works (CRW), the University of Alabama in Huntsville’s rocketry team, are once again participating in NASA’s Student Launch Competition! The NASA Student Launch Initiative is an annual research-based competition where college and university students commit to design, build, and fly a given payload aboard a reusable, high-powered rocket. The competition spans eight months and incorporates standard design reviews typical to any NASA project. Students are supervised by trained rocketry mentors and/or professors as they design, build, and test their launch vehicles. The 2018-19 CRW team are developing a deployable unmanned aerial vehicle (UAV). The UAV will be remotely piloted to deliver a simulated navigational beacon to a specified location. This is a year-long, two-semester project, culminating with a launch in April 2018. There are a total of 20 mechanical and aerospace engineering students assisted by Dr. David Lineberry working to complete this project. Additionally, this year the UAH Communications Department, facilitated by Dr. Candice Lanius, have joined the CRW Public Relations and Outreach team.